The footprints appear to have been left by the bare feet of people gathered around a focal point, likely a fire pit or hearth. Buried deep below a sandy beach and pressed into soft clay, footprints from an ancient time hold clues to life for some of North America's early humans. 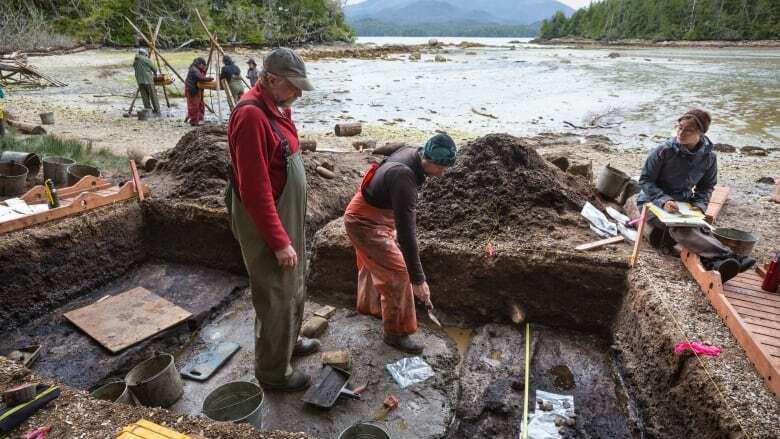 Researchers at the University of Victoria's Hakai Institute published their findings in the journal PLOS One on Wednesday, corroborating earlier indications of the age of the prints at about 13,000 years old. "The footprints were impressed into soil just above the paleo-shoreline, possibly by a group of people disembarking from a watercraft and moving toward a drier central activity area," the journal article says. 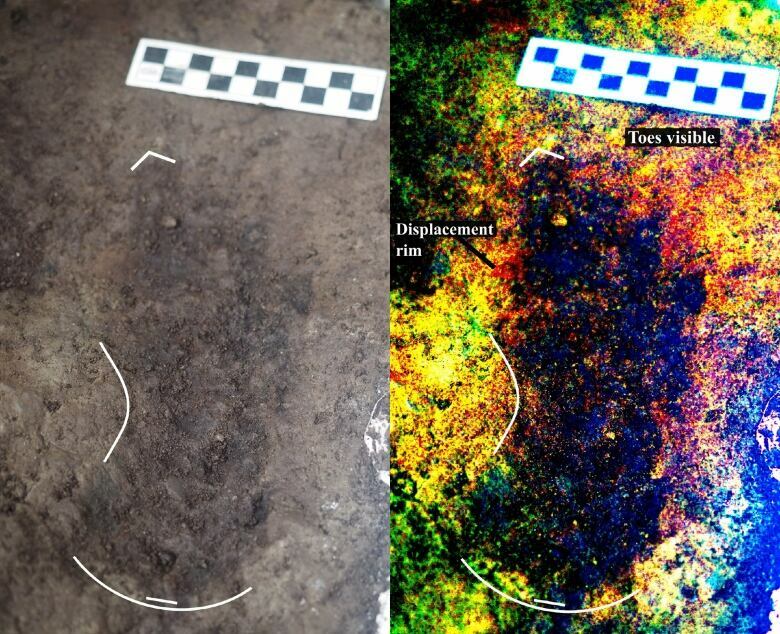 "Fossilized footprints are rarely found in archaeological sites," McLaren said in an emailed statement. "This finding adds to the growing body of evidence that people who used watercraft were able to thrive on the Pacific Coast of Canada at the end of the last ice age," he wrote. 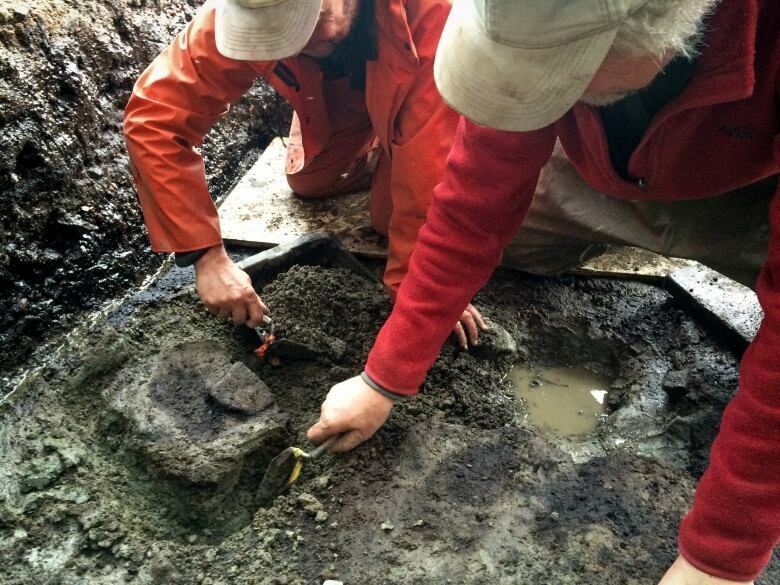 The researchers believe there to be even more footprints at the Calvert Island site, but are leaving them untouched. They hope future scientists with more advanced technology might glean more answers to pre-historic life on the continent.